What can Bodhy Studios do for me? At Bodhy Studios, we use the fine art of storytelling to create events, emotions, and results that are real or imagined. We build up fiction, nonfiction, visual stories, print stories, web stories, storybooks, image stories, movie stories, audio stories, mentoring messages, promotional stories etc that are profitable to your head, heart and wallets. We create world-class. No exceptions. Will Bodhy Studios help flourish my business? 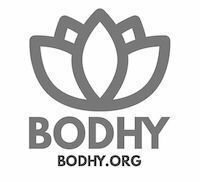 Bodhy Studios is a socially and spiritually responsible professional platform. Our team works with clients who run legitimate, and people-oriented businesses that do not exploit anyone's mental and physical health. Our storytelling medium tools like documentaries, short movies, micro-story videos, web-series, web videos, full length feature films, books, online retreats, webinars, promotional writings, teasers, trailers, brochures, flyers & more can help you and your services become more popular. Simply type your message in the form below. If you prefer to ping us, you'll find our social buttons too. Also, on top right do you see the telephone symbol? Just click on it. Don't hesitate. Bodhy will listen to you. What are the future plans of Bodhy Studios? Glad you asked. Bodhy Studios move with no plans. We live as led by the inner guidance of our hearts. Future is now. Hence we focus only on clients who come in and on what is expected of us today, this very day. But our vision is to focus & deliver great stories for a new planet. We come with an open hearts, vibrant imagination, and a total faith in the power of words. And our mission is to serve those who come seeking us in our best ways. Will you help me to become a better writer? Indeed! That's one of our missions. We are fostering a brotherhood among agencies and organisations who are helping writers grow worldwide. I am a writer and I'd like to work for you. You're most welcome. We are forming a community of writers worldwide to help them grow and expand. Please go to the Contact form below and send us all details you want us to know about yourself. Please leave in your message links to your writings. In case you need to send us attached PDF files you may use our email id for a direct message. Thank you and our best hearty wishes to you!